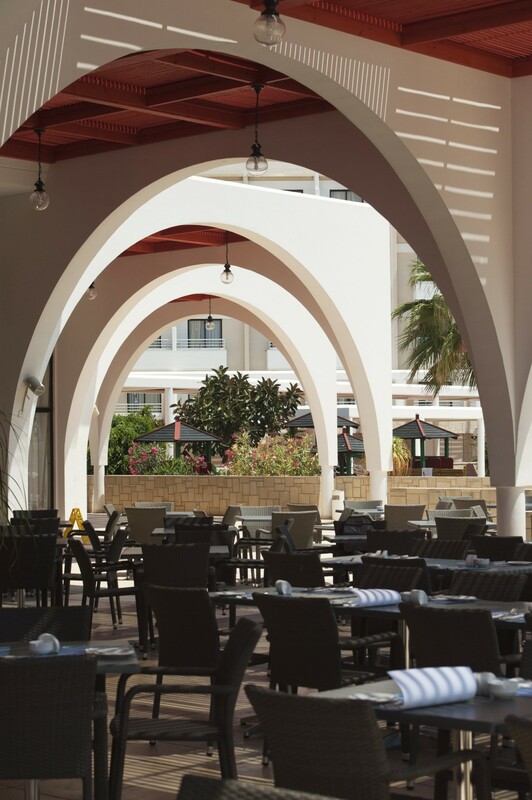 Our main restaurant, the Esperides, is an all-inclusive restaurant open all year round where breakfast, lunch and dinner are served as rich and varied buffets. 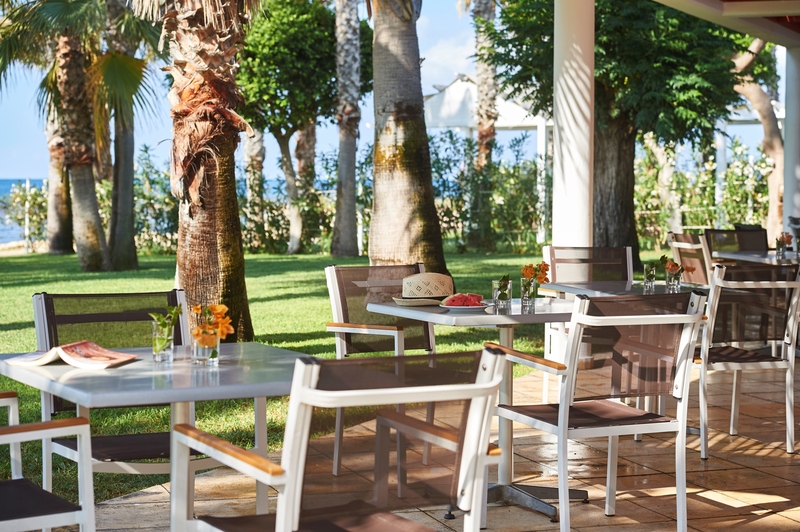 It boasts a spacious and airy dining room and a large shaded terrace where you can enjoy all your meals outdoors weather permitting. 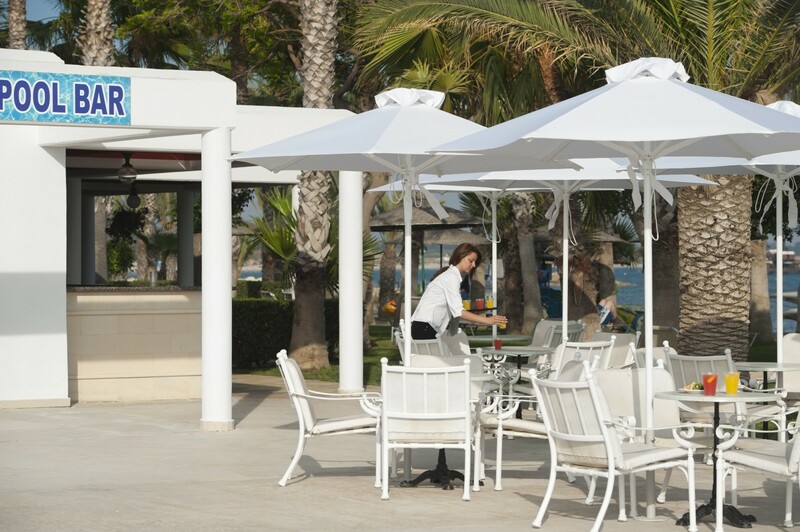 The Louis Phaethon Beach hotel also has a comfortable poolside bar and restaurant serving hot and cold snacks, cocktails, beer and soft drinks which opens during the summer period from 10 am to 5:30 pm. 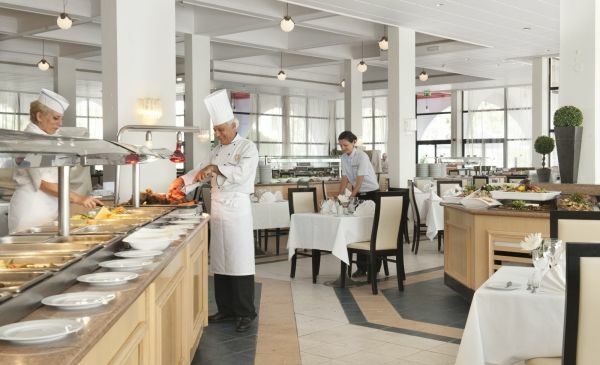 Only open in the summer, the Mura by Akakiko Restaurant serves tasty and exotic Asian cuisine. 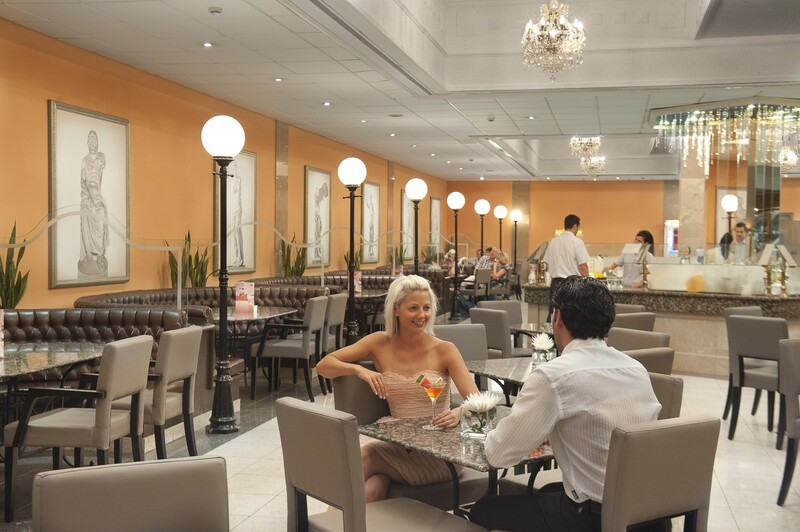 Cafe Vienna is a welcoming coffee shop serving hot and cold drinks, pastries and cakes. 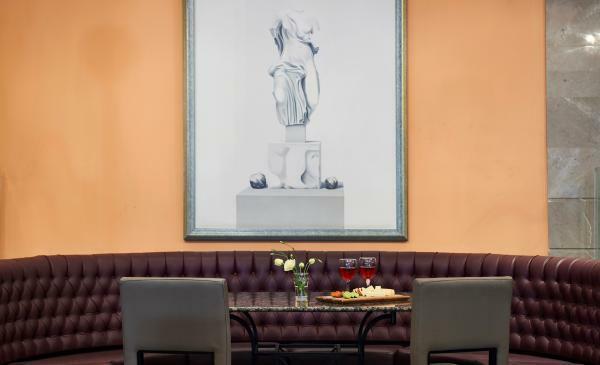 Our main bar is open all year round and offers the ideal spot for pre-dinner and after-dinner drinks, daytime refreshments and evening cocktails. 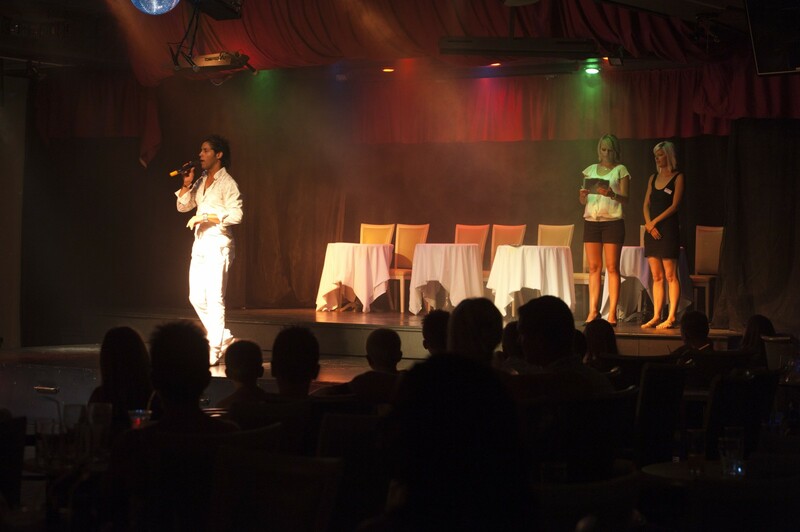 Dance the night away to the sound of disco music at the Chariots Night Club open daily from 8:30pm to 1am. 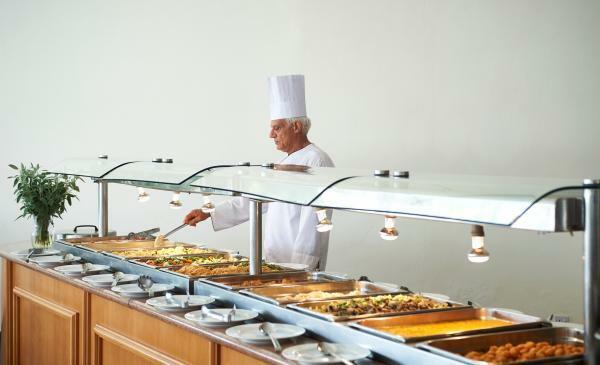 Extensive buffet breakfast including a great variety of hot and cold dishes, delicious fresh fruit, a show cooking station as well as a Healthy Corner. For your days out our lunchbox includes two sandwiches, two whole fruits, cakes, one bottle of water and one juice; it is only available on request between 10:00am - 18:00pm and 24 hrs earlier at reception. 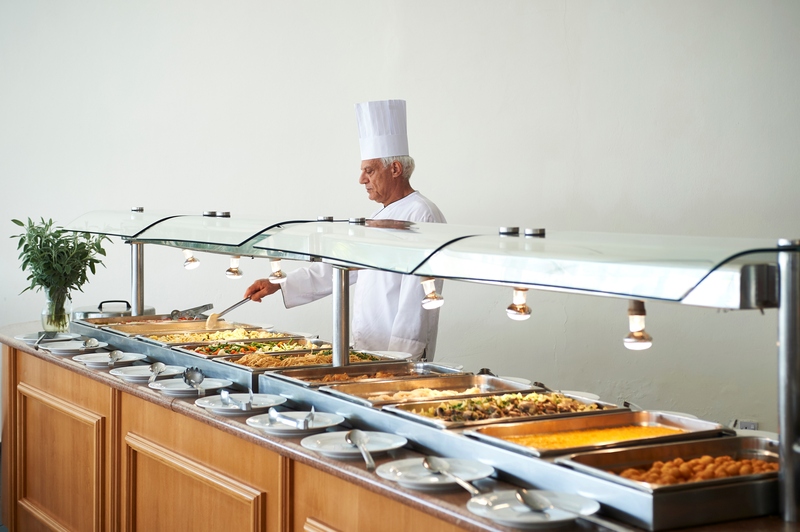 Buffet displays with locally sourced and crispy salads, juicy grilled meats and fish, well known international accompaniments, tasty local dishes, pizzas, kebabs, light desserts and fresh fruit. 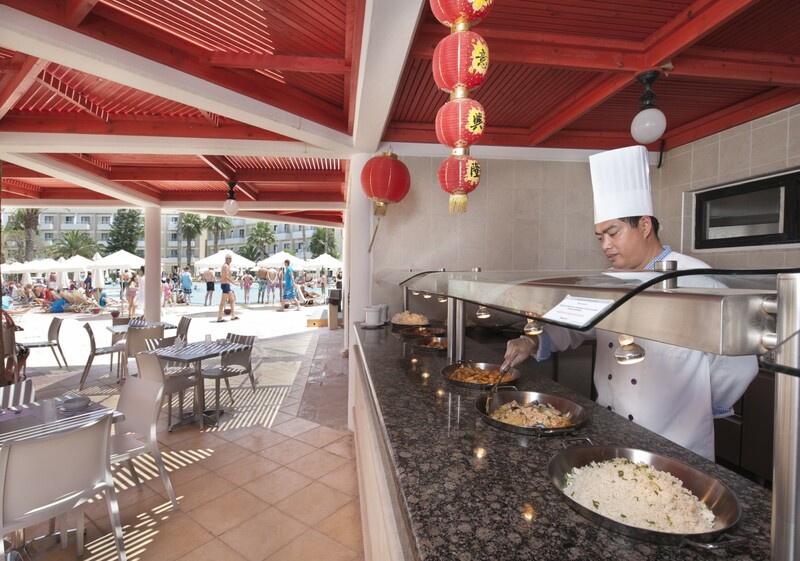 Quick and easy, our Louis Quick Bites is open by the pool, offering quick bites such as burgers, sandwiches, hot dogs, pizzas and kebabs. 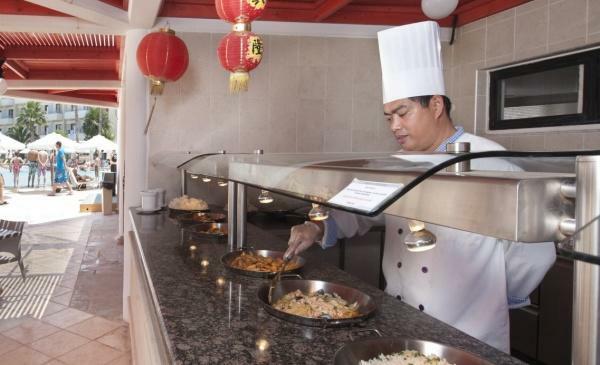 Daily buffets with five different themes per week, such as Greek, Italian, Asian, Mexican, and more. 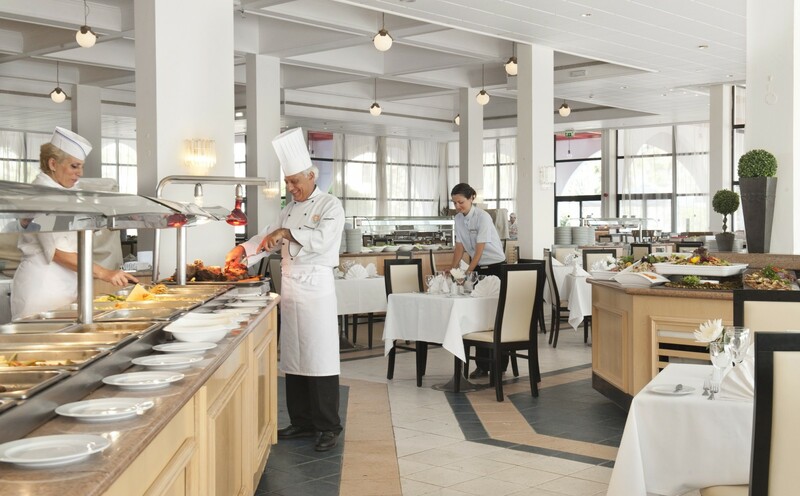 A Yummy Corner for our little friends is located next to the main dinner buffet, serving traditional kids favorites such as meatballs, spaghetti, nuggets, as well as fresh vegetables. 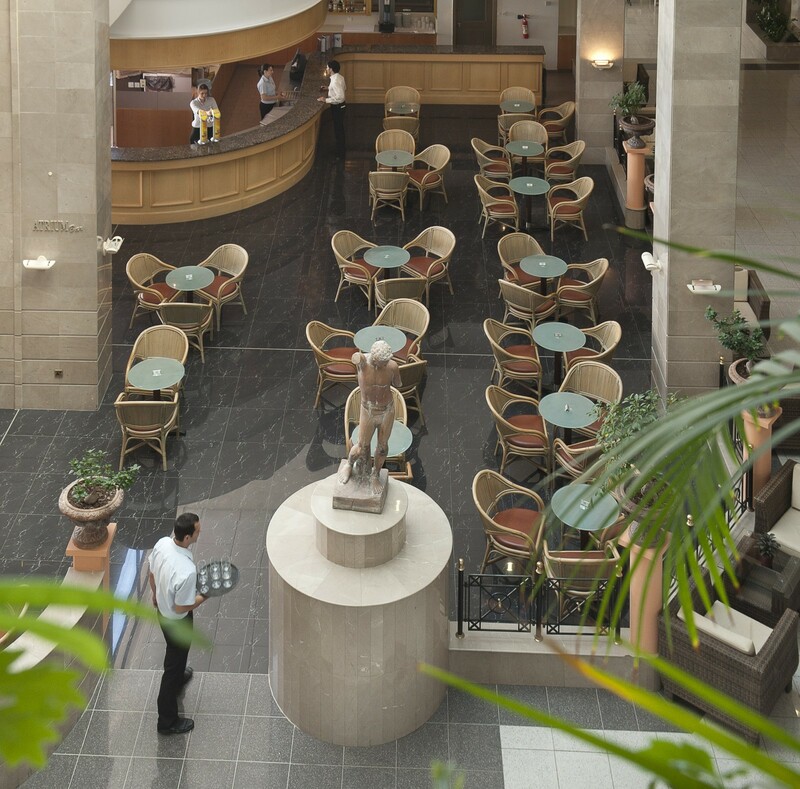 A selection of sandwiches, fresh pastries, local sweet delights, platter of cheese and fresh vegetables. Locally produced alcoholic beverages including draught beer, spirits, wine, liqueur and cocktails. 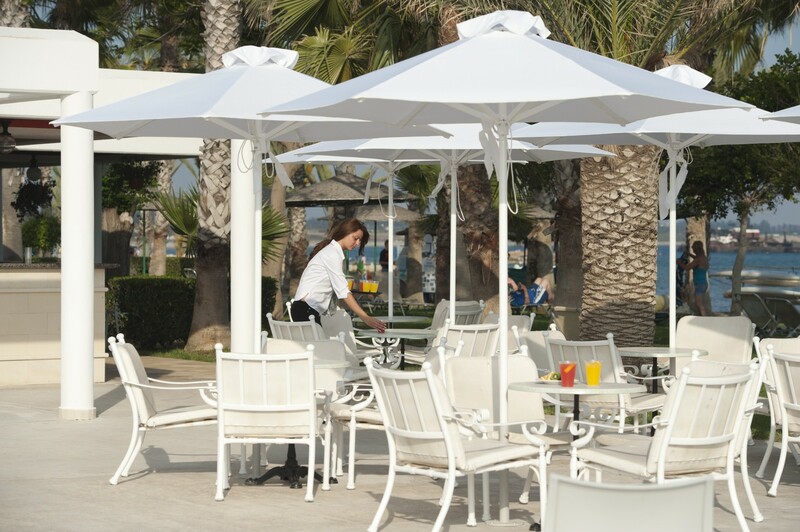 Non alcoholic beverages including soft drinks, juices and purified water (not bottled). 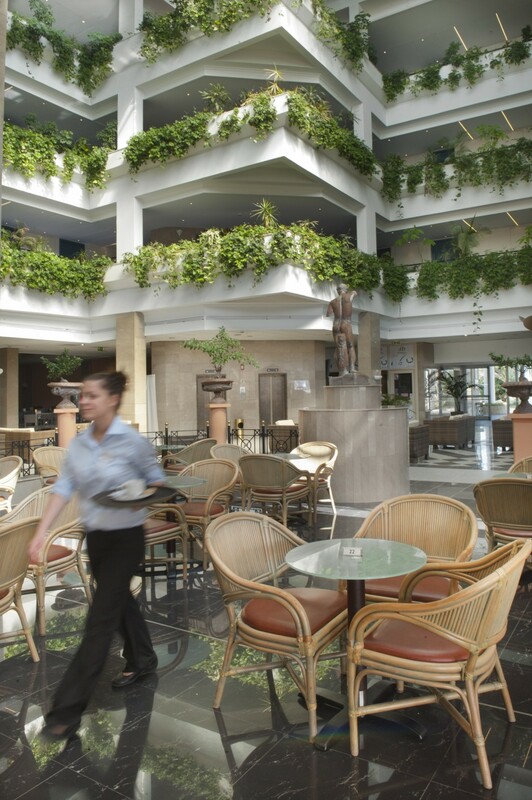 Hot beverages include coffee, tea, cappuccino, hot chocolate, espresso etc. 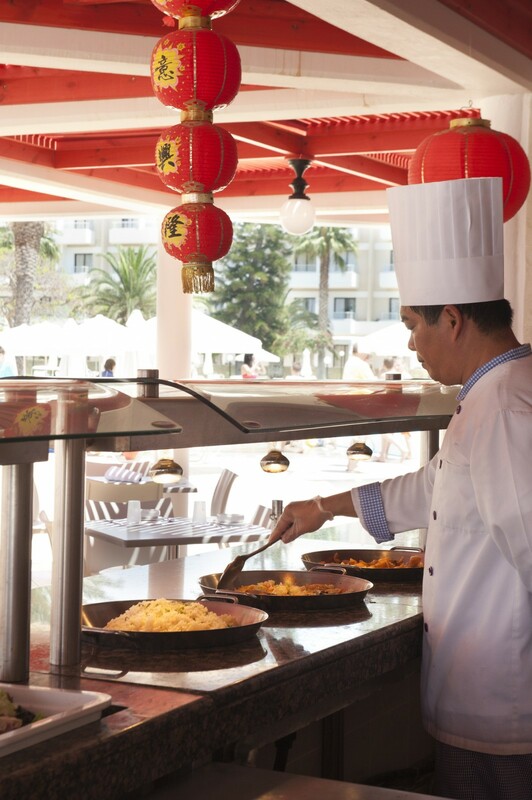 Breakfast is served at Esperides Restaurant. 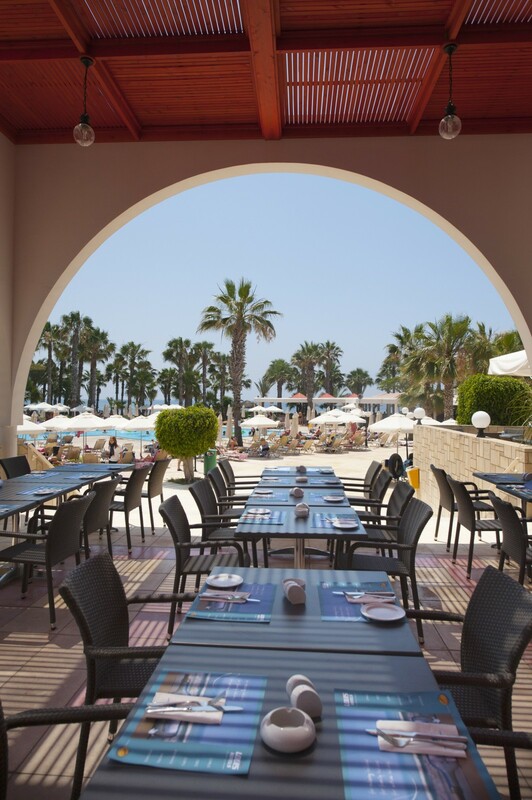 Lunch is served at Esperides Restaurant. 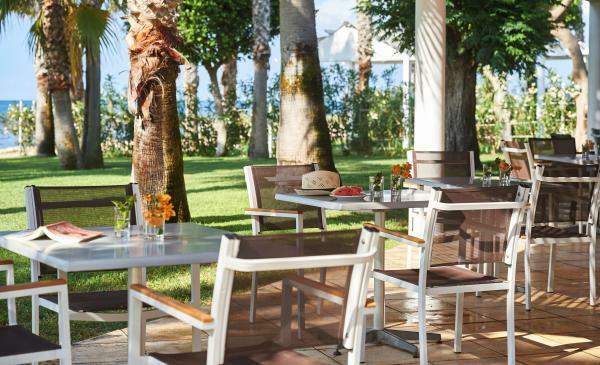 Louis Quick Bites is served at Helios Pool Restaurant in summer & at Esperides Rest. in winter. 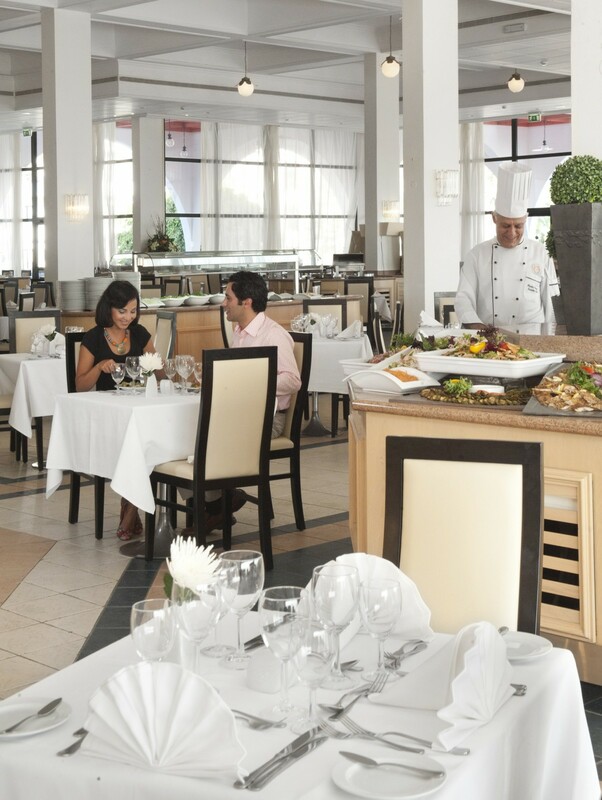 Dinner is served at Esperides Restaurant. 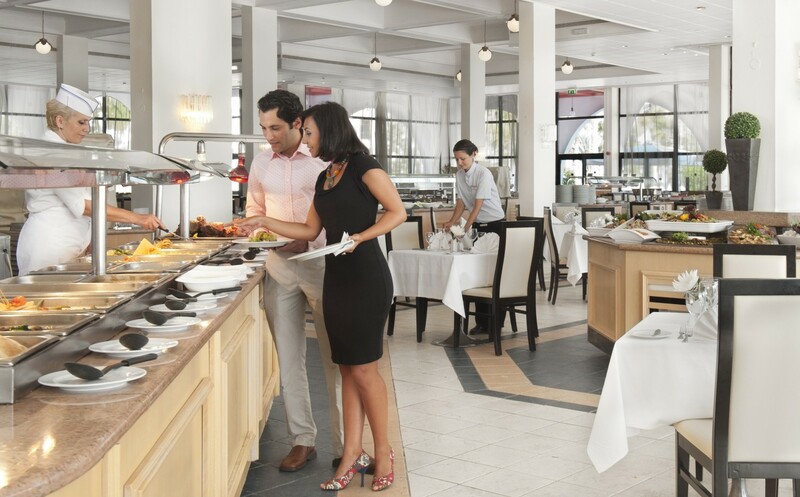 Louis Late Bites are served at Esperides Restaurant. 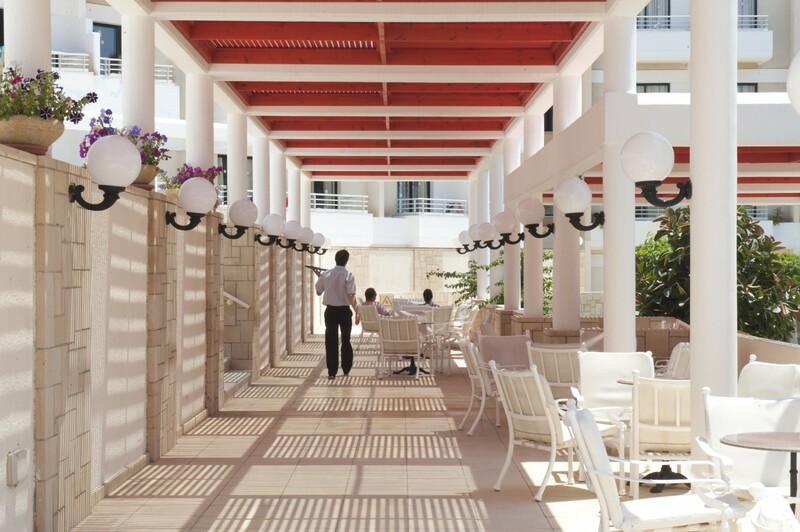 Daytime drinks are served mainly by the pool in summer & at Atrium Bar and Cafe Viena in winter. 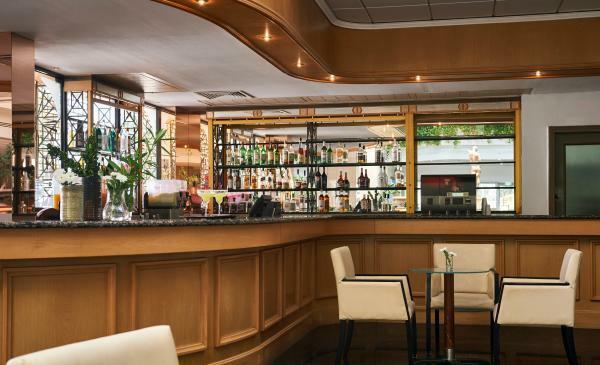 Evening drinks are served mainly at Atrium Bar and Cafe Viena. ** Restaurant Hours May Vary.